Night grilling works for us too. 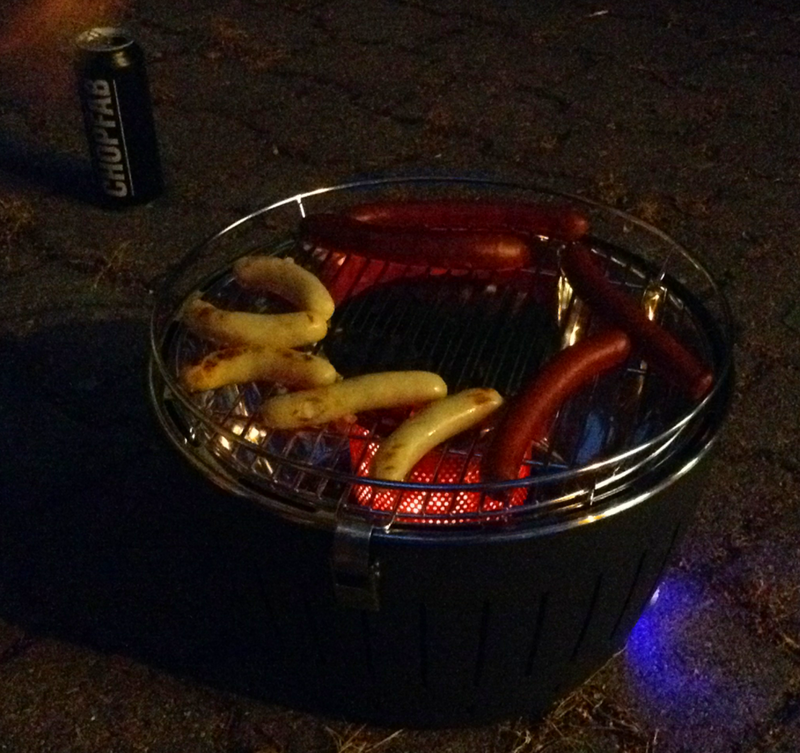 As part of trial, hubby grilled sausages and t’was a night of fatty, smokey, deliciously savory meat. No regrets on how much we ate. Our next grill challenge will include aubergine, bellpeppers, steak, and corn.